in contact with the stars. In 2012, the Voyager mission team announced that the Voyager 1 spacecraft had passed into interstellar space, traveling further from Earth than any other manmade object. But, in the nearly two years since that historic announcement, and despite subsequent observations backing it up, uncertainty about whether Voyager 1 really crossed the threshold continues. There are some scientists who say that the spacecraft is still within the heliosphere – the region of space dominated by the Sun and its wind of energetic particles – and has not yet reached the space between the stars. Now, two Voyager team scientists have developed a test that they say could prove once and for all if Voyager 1 has crossed the boundary. The new test is outlined in a study accepted for publication in Geophysical Research Letters, a journal of the American Geophysical Union. bystander, thank you for this important note. NASA's Voyager 1 spacecraft made history in 2012 by entering interstellar space, leaving the planets and the solar wind behind. But observations from the pioneering probe were puzzling with regard to the magnetic field around it, as they differed from what scientists derived from observations by other spacecraft. A new study offers fresh insights into this mystery. Writing in the Astrophysical Journal Letters, Nathan Schwadron of the University of New Hampshire, Durham, and colleagues reanalyzed magnetic field data from Voyager 1 and found that the direction of the magnetic field has been slowly turning ever since the spacecraft crossed into interstellar space. They believe this is an effect of the nearby boundary of the solar wind, a stream of charged particles that comes from the sun. "This study provides very strong evidence that Voyager 1 is in a region where the magnetic field is being deflected by the solar wind," said Schwadron, lead author of the study. Researchers predict that in 10 years Voyager 1 will reach a more "pristine" region of the interstellar medium where the solar wind does not significantly influence the magnetic field. Voyager 1's crossing into interstellar space meant it had left the heliosphere -- the bubble of solar wind surrounding our sun and the planets. Observations from Voyager's instruments found that the particle density was 40 times greater outside this boundary than inside, confirming that it had indeed left the heliosphere. 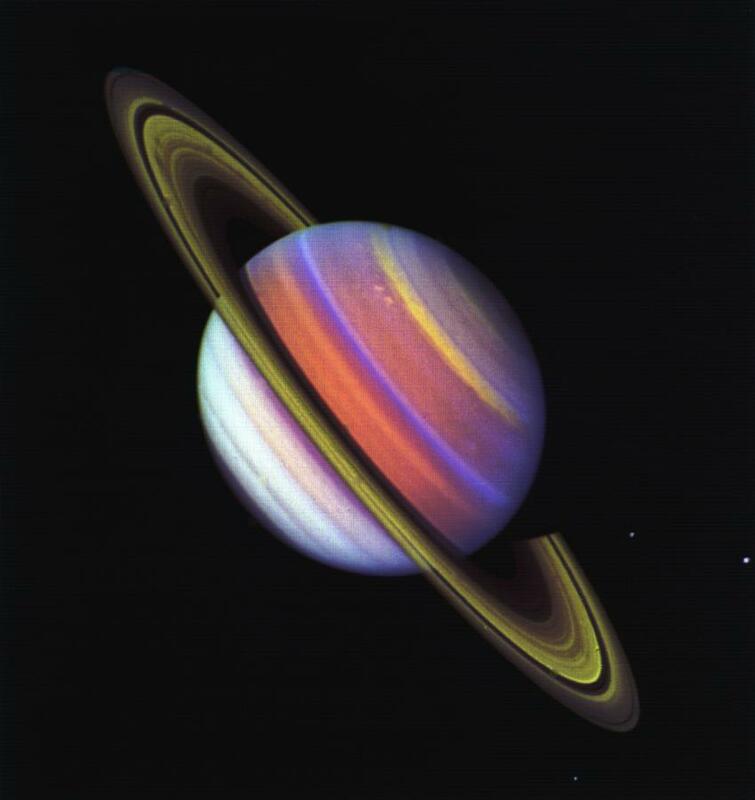 Saturn, with its alluring rings and numerous moons, has long fascinated stargazers and scientists. After an initial flyby of Pioneer 11 in 1979, humanity got a second, much closer look at this complex planetary system in the early 1980s through the eyes of NASA's twin Voyager spacecraft. Voyager 2 made its closest approach to Saturn 35 years ago -- on Aug. 25, 1981. What the Voyagers revealed at the planet was so phenomenal that, just one year later, a joint American and European working group began discussing a mission that would carry on Voyager's legacy at Saturn. That mission -- named Cassini -- has been studying the Saturn system since 2004. Cassini has followed up on many of Voyager's discoveries, and has deepened our understanding of what some might call a "mini solar system." NASA's Voyager 2 spacecraft flew by Uranus 30 years ago, but researchers are still making discoveries from the data it gathered then. A new study led by University of Idaho researchers suggests there could be two tiny, previously undiscovered moonlets orbiting near two of the planet's rings. Rob Chancia, a University of Idaho doctoral student, spotted key patterns in the rings while examining decades-old images of Uranus' icy rings taken by Voyager 2 in 1986. He noticed the amount of ring material on the edge of the alpha ring -- one of the brightest of Uranus' multiple rings -- varied periodically. A similar, even more promising pattern occurred in the same part of the neighboring beta ring. Chancia and Hedman are well-versed in the physics of planetary rings: both study Saturn's rings using data from NASA's Cassini spacecraft, which is currently orbiting Saturn. Data from Cassini have yielded new ideas about how rings behave, and a grant from NASA allowed Chancia and Hedman to examine Uranus data gathered by Voyager 2 in a new light. Specifically, they analyzed radio occultations -- made when Voyager 2 sent radio waves through the rings to be detected back on Earth -- and stellar occultations, made when the spacecraft measured the light of background stars shining through the rings, which helps reveal how much material they contain. They found the pattern in Uranus' rings was similar to moon-related structures in Saturn's rings called moonlet wakes. PBS: "The Farthest - Voyager in Space"
"The Farthest - Voyager in Space"
PBS has announced that “The Farthest - Voyager in Space,” a two-hour special about NASA’s historic Voyager mission to explore our solar system and beyond, will premiere nationally on August 23 at 9:00 p.m. ET on PBS stations, in conjunction with the 40th anniversary of the first Voyager launch. The documentary was an official selection in the 2017 Tribeca Film Festival as part of the festival’s Viewpoints program. With participation from more than 20 of the original and current mission scientists, engineers and team members, “The Farthest - Voyager in Space” tells captivating tales of one of humanity’s greatest achievements in exploration. From supermarket aluminum foil added at the last minute to protect the craft from radiation; to the near disasters at launch; to the emergency maneuvers to fix a crucial frozen instrument platform, viewers get a sense of how difficult -- and rewarding -- space exploration can be. 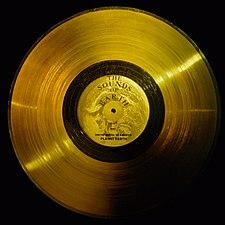 Re: PBS: "The Farthest - Voyager in Space"
Is it the same trailer as https://www.youtube.com/watch?v=znTdk_de_K8 ? It's very similar but different. It is true. This video is not available in my region. Humanity’s farthest and longest-lived spacecraft, Voyager 1 and 2, achieve 40 years of operation and exploration this August and September. Despite their vast distance, they continue to communicate with NASA daily, still probing the final frontier. The Voyagers have set numerous records in their unparalleled journeys. In 2012, Voyager 1, which launched on Sept. 5, 1977, became the only spacecraft to have entered interstellar space. Voyager 2, launched on Aug. 20, 1977, is the only spacecraft to have flown by all four outer planets – Jupiter, Saturn, Uranus and Neptune. Their numerous planetary encounters include discovering the first active volcanoes beyond Earth, on Jupiter’s moon Io; hints of a subsurface ocean on Jupiter’s moon Europa; the most Earth-like atmosphere in the solar system, on Saturn’s moon Titan; the jumbled-up, icy moon Miranda at Uranus; and icy-cold geysers on Neptune's moon Triton.
" Where are the Voyagers now? where the solar wind is slowed by the pressure of interstellar gas." In 1977, two NASA space probes destined to forever upend our view of the solar system launched from Cape Canaveral, Florida.